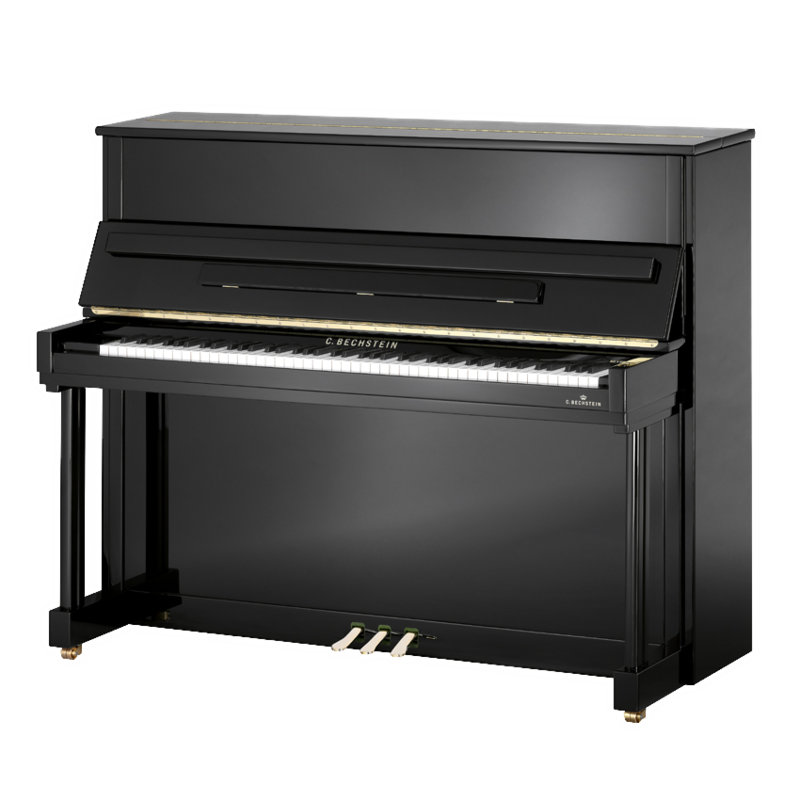 The C. Bechstein Piano Classic 124 upright piano is a “high class” upright model with timeless design. Its clean lines speak to people with good taste and with a sense of class who appreciate an innately beautiful instrument. The C. Bechstein Piano Classic 124 upright piano shows technique and sound in harmonious relations. This piano demonstrates highest sound quality and sophisticated action. The well-known French music magazine “Diapason d’or” judges: “Convincing through the tonal beauty and pleasant touch. Powerful basses with depth. Distinguished, excellent overall impression.” The aesthetics of the C. Bechstein Classic 124 upright piano are puristic, confident and fine. C. Bechstein upright pianos, like all musical skills, are self-evident. The selection of the most valuable components and individual mastery of piano manufacturing guarantee this piano will be a musically reliable partner of players with very high requirements for generations to come.The C.Bechstein pianos are created in complex manufacturing process by a master hand. C. Bechstein Classic 124 upright piano offers musical people luxury and lifestyle. You inspire yourself and others during daily playing – and the practice becomes a pleasure. Give yourself the best. C. Bechstein Piano Classic 124 upright piano is available with the C. Bechstein Vario System, which enables you to practice without being overheard.